If you have an autoimmune disease and you see a conventional physician specializing in autoimmune diseases, here's what will happen. After all the testing, they will give you any one of a number of drugs to help you with your symptoms. Maybe you will feel better, and maybe you won't. Maybe you will have side effects from the drugs, and maybe you won't. But here's the thing. Although the doctor will do his/her level best to help you with your symptoms, he will do absolutely nothing to cure the disease. Why? It's because in medical school we're all taught that autoimmune diseases are not curable. So why try to cure anything that is not curable? That would be a waste of time. And here's why this is so sad. As I have explained to you before (please see my past articles on how autoimmune diseases can be cured) these diseases are definitely not incurable. I'm not saying that they're always curable. But I can say that they're curable most of the time. However, in order to cure a disease, you have to know what is causing it. And now, a recent article on one particular autoimmune disease points out what I have been saying for years. Before I tell you about it, remember autoimmune diseases are triggered by microbes (viruses, fungi, or bacteria), many of which are completely harmless to the majority of people. Deal with the microbe, and you can cure the disease. In the case of celiac disease, new research from the University of Chicago and the University of Pittsburgh School of Medicine has found the cause of this autoimmune disease. These researchers found that an otherwise harmless virus called reovirus can trigger the immune system response to gluten that leads to celiac disease. According to study's senior author Bana Jabri, MD, PhD, "This study clearly shows that a virus that is not clinically symptomatic [harmless to most people] can still do bad things to the immune system and set the stage for an autoimmune disorder, and for celiac disease in particular." Dr. Jabri goes on to say that the microbe does not cause the problem by causing an infection. Instead, there's an interaction between the genes of the microbe and the genes of the patient, which triggers an abnormal immune system response. In addition, the doctor points out that, "The health status of the patient is going to matter as well." 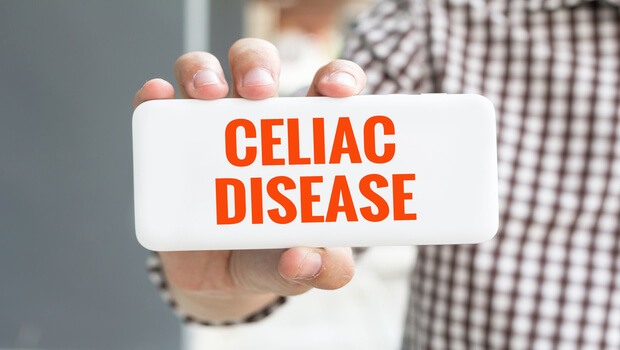 Celiac disease is an autoimmune disorder that affects one in 133 people in the United States, although it is believed that only 17% of those have been diagnosed. It's caused by an improper immune response to a protein called gluten, found in wheat, rye, and barley. Gluten interacts with the immune system to damage the lining of the small intestine causing all kinds of gastrointestinal symptoms from bloating to diarrhea to constipation. Celiac disease can also cause rashes, headaches, fatigue conditions, irritability, behavioral issues, difficulty with concentration, and even attention deficit disorders. In a 2011 study published in Nature, Jabri reported that the cause of this improper immune response has to do with an imbalance of cytokines. Cytokines are messenger molecules that orchestrate the immune response. The current study uses a mouse model to show that certain strains of the reovirus, which commonly inhabits the gastrointestinal tract of most people, causes the immune system in susceptible people to overreact with abnormal levels of certain cytokines. This is basically what happens in all autoimmune diseases. And it's exactly why ozone therapy is so helpful. It's because the science shows that ozone therapy is able to alter the balance of cytokines, and restore them to a healthier balance. So, if you have been diagnosed with an autoimmune disease, please take a look in the archives at my report entitled, "Autoimmune diseases can be cured." And then find a doctor who can help you. There's much more to curing these diseases than simply using ozone therapy. Remember Dr. Jabri's words, "The health status of the patient is going to matter as well." This is just another way of saying that the cause of these diseases also involves the patient's overall health. You can find doctors versed in ozone therapy at www.aaot.us. And additional good resources for finding doctors trained in improving the sources listed below. Bouziat R, Hinterleitner R, et al. Reovirus infection triggers inflammatory responses to dietary antigens and development of celiac disease. Science. 2017 Apr 7;356(6333):44-50. Doctor listings: www.acam.org, www.naturopathic.org, www.abihm.org, www.faim.org, www.ahha.org, www.amfoundation.org, www.aihm.org, www.aaimedicine.com, www.icimed.com, www.imholistichealth.org.